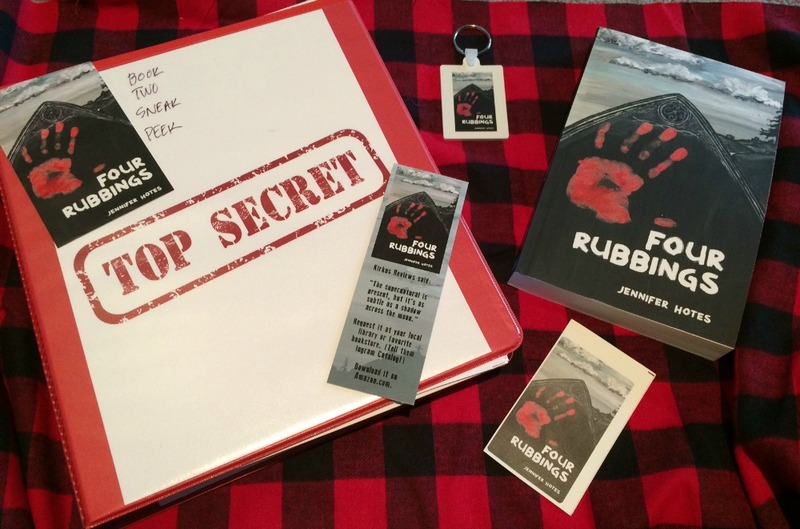 The following is a guest post by Jennifer Hotes, author of Four Rubbings. If you would like to write a guest post on my blog, please send me an e-mail at contact@cecilesune.com. I had a nightmare in the dead of night and soon after, told my sister-in-law about it. She insisted that I write it down, but I told her I couldn’t. Don’t get me wrong; I’m a voracious reader. I also illustrate books, but I have never been a writer. From that day on, I began to carry a blank notebook with me everywhere and found myself writing down the story of Four Rubbings as I waited for my kids in school pick up line, but I didn’t tell anyone. Putting a voice to any new endeavor is terrifying. What if no one took me seriously? After I filled that first notebook I confided in a few people and the reception was positive, so I kept at it. It took me awhile to agree to the calling of writing a book, but yes. It was a calling. I’ve always felt a connection to something greater, despite growing up in a “no God!” home. I believe that life teaches you what you need to know. I received exactly what I needed when I let go and listened. For example, I’ve always had nightmares, now I understand that these dreams are a gift. Each week I have a dream that sends me in a writing direction and I’m getting better at being in touch with this dark side of myself in my waking hours. One of the most terrifying moments in my journey was when my father mistakenly received a copy of my manuscript that was meant to go to my mother, an amazing blogger. My dad is an accomplished academic writer and I did not want him to read it. (You know how we never want to disappoint our dad?) His response was brutal and honest and enthusiastic. He said it was great, but it could be better and asked me the turning point question. My manuscript brought the reader to the edge of fear, but if I wanted to be a horror writer I had to leap. 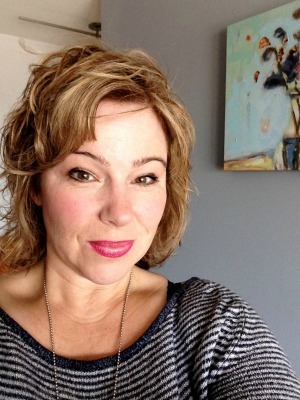 My role as a wife and mother had to shift to become a full-fledged writer. In words, my family supported me, but in reality they wondered where I had gone. Why wasn’t the laundry done? Where were the groceries? My husband loves to work from home and was used to having access to me. You know motherhood is sugarcoated with guilt. It wasn’t until I got some momentum that I felt I was entitled to it and that I owed it to myself to honor my writing time. Well, my daughters learned to endure me as I learned to be a writer, but in the end they now stand stronger on their own two feet. My older daughter was the one who told me that I had to finish and publish the book. She said, “Mom, you’re the only one who can tell this story. Write it down!” She was fourteen at the time and we were having a bit of friction, but the book gave us a middle place. We would go for walks. I would be vulnerable with her about my challenges writing and this gave her permission to be vulnerable about her feelings about growing up. The book kept our relationship strong and connected in one place during those challenging years and that alone made the whole process of writing a book worth every ounce of energy. My husband has become my biggest champion. When you write a novel there are ugly parts. It’s like childbirth. Right before the last push, you are spent. You don’t think you can do it. Doug was right there with me, a stern reminder that I could do it and more than that, I had no choice. He beat up my inner critic for me and Four Rubbings was born. Some people ask how the novel got published, since I had no experience with that end of writing. Well, I submitted Four Rubbings to Booktrope Publishing, an indie publisher in Seattle and at that time they were closed for submissions, but asked for the manuscript anyway. I didn’t hear from them, so after a month I decided to self-publish. April 15th was my self-imposed publishing date, and I went into mama bear mode. I was determined to make this happen! My copy editor had some personal issues come up and kept delaying. I was frustrated. Then I heard this voice within that told me to let go and be open hearted, allow her to take care of herself and her family. In my mind I missed the deadline and scheduled a trip to Disneyland with my ten-year-old daughter. We were walking around the park and the phone rang. It was Booktrope offering to publish the book! I heard the lesson loud and clear then, “Let go and listen.” The Universe tries to fix things for you and if you can just get out of the way, things happen. About the author and her work: Jennifer Hotes’ Website. Encouraged by her mother-in-law, Elizabeth A. Hotes, who told her to create something and share it with others, Jennifer writes and illustrates to keep her memory alive. To date, Jennifer’s favorite medium is pen and ink, but she also loves to paint a wall or canvas. Her works have been featured at benefit art auctions, adorned the walls of public spaces, graced homes and enhanced books with vibrant covers and internal illustrations. 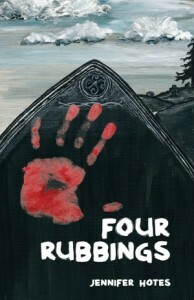 Four Rubbings is Jennifer’s first novel though she’s busy writing the second book in the Stone Witch Series presently. Four Rubbings is great for readers that enjoyed the Harry Potter series, and has been a fun book club pick across the country. The author loves Skyping into book clubs, so email her and ask – she may just surprise you with a cyber visit!